It is clear in Revelations that two of our weapons against the enemy are the blood of the lamb and our testimony. The blood washes away our sin, protects us from evil, and made us as right as God, so now we can boldly come into the throne of Grace and we have authority over every power of the evil one. 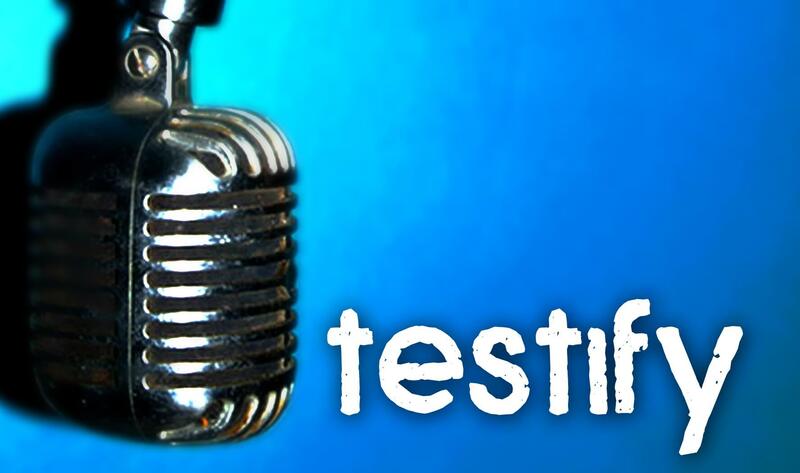 Why would our testimony be a weapon? When we share all the good things that God has done for us, what He has brought us through, we are showing His kindness, some translations say “goodness.” This leads hearts to repent, taking them out of the enemy’s camp and bringing them home to the Father. Other versions say “silence”, “destroy”, and “put an end” to the enemy and the avenger. Our testimony is praise to God. Our only form of praise isn’t song. Whenever we share God’s goodness, we are glorifying and praising who He is. Satan is trying to keep people ignorant of WHO God is. Our testimony tells people who God is! They may have heard that God is vengeful, that He makes us sick, that He sends disaster to judge people, but our testimonies of His mercy, His healing power, of His forgiveness shows who He really is. We all have a testimony. If you have accepted Jesus as your savior, you have something to say. We just need to remind ourselves of all He has done for us, for all that He is going to do, in fact He already did it all, we just have to accept it and stand on His promise. Then, tell someone. In fact tell everyone!